Who is Marblehead Brand Development? Marblehead Brand Development is an entrepreneurial brand development company that has given vital momentum to some of the most famous premium spirit brands including Absolut, The Kraken and Maker’s Mark, steering them to become market leaders within their category. Now owned by Quintessential Brands, today Marblehead continues to represent the next generation of exciting drinks brands, assisting them to reach their potential faster. Tell us about your flagship brands- e.g. the vision, branding, heritage etc? 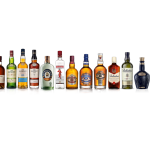 Our current portfolio includes Quintessential Brands’ BLOOM gin, Opihr gin, Berkeley Square premium gin and Toussaint coffee liqueur, as well as Crown Royal and Don Papa rum. With over 37 years’ experience and a great track record built by a team of great people, Marblehead has earned a reputation as a courageous pioneer that makes a real difference for customers across the UK on-trade. How would you describe the culture at Marblehead Brand Development? Entrepreneurial, creative and great team spirit. 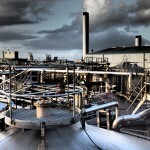 Sales and negotiation training, product training including visits to distilleries. 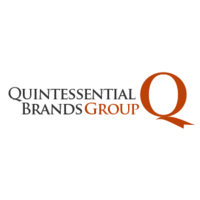 Development opportunities exist both within Marblehead and within the wider Quintessential Brands group of companies. What’s the best thing about working for Marblehead Brand Development? We have great brands and great people in Marblehead. We work well as a team, using all our strengths and entrepreneurial talents to launch and grow fantastic brands in the on-trade having fun along the way!